Does your guy have dry itchy skin underneath his handsome beard? Craft him this earthy-woodsy-scented Conditioning Beard Oil. Made with fast absorbing Argan Oil and Jojoba Oil, not only will his skin be conditioned, his beard will be soft and manageable and NOT at all greasy or oily. A few drops of this magic manly elixir is all it takes and should be used before bed and after the shower. Combine all ingredients into a one-ounce amber dropper bottle. You can print the label below to attach to your jar. Print out this label and attach to your dropper bottle. I just made a fresh batch of Comfrey Infused Grapeseed Oil to be used in my salve, cream and lotion recipes. I like to apply the salve to acne scars and inflamed skin rashes. The magic of Comfrey is from the active component contained in the leaf and root called allantoin which helps to boost the production of new skin cells. In fact it works so fast that you should NEVER use it on open wounds, dirty wounds or broken skin. You should only apply it to areas that have already scabbed over. Never take the oil internally. I made my infused oil with a combo of the Comfrey leaves and root (Symphytum officinale) and grapeseed oil. You can buy both the dried root and dried leaf from Mountain Rose Herbs. If you want to grow your own Comfrey, Mountain Rose Herbs offers Comfrey Seeds. You need 1 ounce of both the dried Comfrey Leaf and Comfrey Root. Grind both into a fine powder. Want them already powdered? Mountain Rose Herbs offers them already ground. Add the ground herb into a sterile canning jar. Add your carrier oil of choice to within 1/4-inch from the top of the jar. You need to stir the air bubbles out of the jar and make sure all the herb is saturated with oil. You can buy carrier oils at Mountain Rose Herbs. I like to use grapeseed or olive oil. Make sure you print or write a label for your jar!!!! It takes about 6 weeks and daily shaking to properly infuse. In the winter months, I place the jar over a heater vent for 6 weeks. In the warmer months of the year, I place the jar in a brown paper bag and leave it in a sunny window. After 6 weeks of infusing, strain the oil from the spent herb and store in a sterile jar kept in either the freezer or fridge. Stay tuned for beauty recipes using the infused oil. This information is for educational purposes only, it is not intended to treat, cure, prevent or, diagnose any disease or condition. Nor is it intended to prescribe in any way. This information is for educational purposes only and may not be complete, nor may its data be accurate. I am an Affiliate with Mountain Rose Herbs. One of my favorite essential oils is Cardamom. I use ground cardamom in numerous culinary recipes and often brew tea with an entire cardamom pod in the cup. I like to use the essential oil in my lip balm recipes, body sprays and perfume blends. Of course I buy it from Mountain Rose Herbs since they only carry Certified Organic and at a very reasonable price. Here is a bit of information about Cardamom Essential Oil from the Mountain Rose Herbs website. Traditional Use: Cardamom is native to India, and is used in Ayurvedic medicine for flatulence, colic, and poor digestion. Blends Well With: Bay, bergamot, black pepper, caraway, cedarwood, cinnamon, cloves, coriander, fennel, ginger, grapefruit, jasmine, lemon, lemongrass, litsea cubeba, mandarin, neroli, orange, palmarosa, patchouli, petitgrain, sandalwood, vetiver, ylang ylang. Of Interest:This oil has many applications in perfumery. 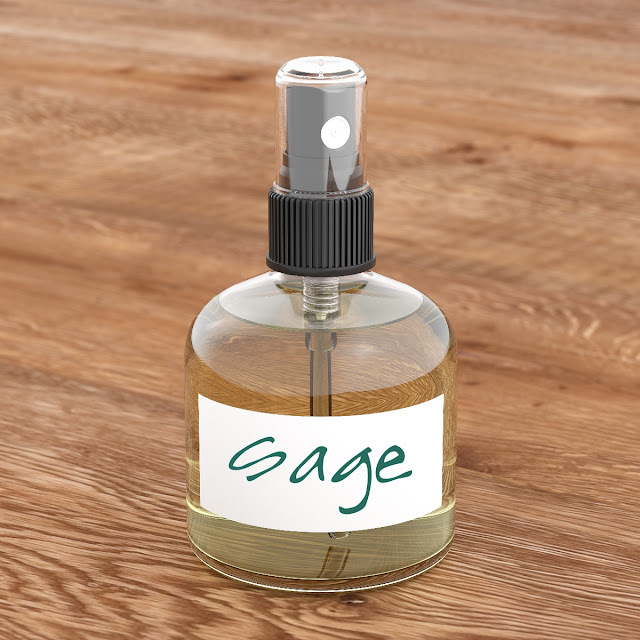 It is added to oriental type aromas for soaps, cosmetics, and body care products. Irene from the Mountain Rose Herbs Blog posted some delicious and decadent Cacao kissed beauty recipes for Valentine's Day. My favorite is the Cacao & Vanilla Body Polish. This delicious body scrub will leave your skin exfoliated and smooth with a shy scent of chocolate and vanilla. I thought I would teach you how to make your own Vanilla extract too. Make sure to visit the Mountain Rose Herbs Blog for all of Irene's Love Inspired Cacao Recipes. Before we get to the recipe for the Cacao & Vanilla Body Polish, lets make our very own handcrafted Vanilla Extract. This is so easy, you will wonder why you have been spending a fortune buying it from the store. You will need 400 ml of 100 proof Vodka, 5 whole vanilla beans and a sterile 8 ounce canning jar with lid and ring. You can find whole organic Vanilla Beans at Mountain Rose Herbs. You want to cut the beans in half and then slice them down the middle to expose the "caviar". The mythology of the pre-Columbian Totonac tribe (who resided in what is now Mexico) refers to vanilla as an aphrodisiac, and it is still used for that purpose in aromatherapy today. Vanilla's sweet, bland flavor is one of the most popular the world over, and while it is considered "plain", it is really a complex layering of sweet and spicy flavors that have been used for centuries to flavor everything from chocolate to milk. Place the sliced and opened Vanilla beans in a sterile canning jar and add in about 400 ml of Vodka, or enough to cover the tops of the beans. You will need to shake this daily for about 6 weeks or one full moon cycle. You can either strain the dark liquid from the Vanilla pods into another jar, or you may leave the spent Vanilla pods in. This should keep fine for many years. The photo above shows the batch I made today and one I made last year. Make sure you label your Vanilla Extract. Keep in a cool and dark place. Are you ready to make the Cacao & Vanilla Body Polish? Here is a label you can use for your jar. Happy Valentine's Day!!! Print this label for your jar. Essential oil of choice (optional). Cinnamon leaf, Geranium, Lavender, Lime, Mandarin, Peppermint, Sweet Orange, Tangerine, Ylang Ylang or other. Combine all ingredients in a bowl and mix well. Package in jars and enjoy!!! Looking for a light lotion that is simple to create? Here it is!! I received an email from a reader asking for a simple recipe for crafting a light lotion that is easily absorbed. Here is one of my favorite recipes that I made yesterday. It makes just about 220 grams. Heating the the oil/wax phase and the hydrosol phase to 160 degrees. Fill a large Dutch oven with about 3 inches of water and bring to a simmer. In a Pyrex measuring cup, add in the almond oil, coconut oil, emulsifying wax, stearic acid and lecithin. Place the measuring cup on a canning ring in the Dutch oven. In another Pyrex measuring cup, add in the rose hydrosol and Xanthan gum powder, use a stick blender to mix the two together. Place the measuring cup on a canning ring in the Dutch oven next to the other one. Allow the oil/wax mixture to completely melt and the hydrosol mixture to heat up to 160 degrees. Remove both from the Dutch oven and using either a stick mixer or handheld mixer, blend the hydrosol into the oil/wax mixture. Continue blending on low speed until the mixture cools to under 100 degrees F. Add in the grapefruit seed extract and the essential oil. Continue to blend on low speed until the mixture is room temp. Lotion will be light and fluffy. Transfer lotion to a sterile container. Use within 60 days. You can also use a single beater of a handheld mixer to combine the ingredients. You will need to blend your ingredients for about 15 minutes or until it cools to room temp. and is light and fluffy. Transfer the lotion to a sterile jar. I like canning jars. I usually put a rubber band around the jar and slip a spoon in so folks (including myself) are not tempted to use their fingers to get the lotion. Make sure you label your lotion. You don't want Grandma spreading it on her ham and cheese sandwich! It kinda looks like Mayo!! Here is a great way to exfoliate your skin! These cleansing grains are a dry mixture of Rhassoul clay, oat flour, almond and corn meals, ground lavender and rose petal powders, neem powder and essential oils of sandalwood and vetiver. You simply mix a few teaspoons of the purifying grains formula with a bit of your favorite hydrosol (floral water) until a thick-ish paste forms. Gently massage over face for a few minutes and rinse well. Also feel free to mist your face with more hydrosol to moisten up the grains and leave on your face as a mask until dried and then rinse. Not just for the face, this may be used on your back, chest, knees, elbows and feet. I love to use this as a hand scrub after playing in the garden. makes 5 ounces and should be kept away from moisture in a tightly capped jar. Place all ingredients into a blender or food processor and pulse to incorporate and mix well. Transfer to a jar with a tight fitting lid. Use within 6 months and keep dry. I received an email from a reader asking my thoughts about why she may be breaking out in a rash when she rubs Eucalyptus (Eucalyptus globulus) essential oil on her chest. She stated that she was experiencing a cold and thought that it would help to "open up her chest", but instead her chest became irritated and sensitive. I emailed her back and asked her how she was diluting it and I learned she was using it straight from the bottle. Although, Eucalyptus essential oil is one of the oldest native medicines used in Australia and is known for its beneficial use as an inhalant and decongestant, it almost always needs to be diluted in liquid or a carrier oil. It also should not be used while pregnant and CAN cause skin irritation. Essential oils are wonderful and can be very beneficial when used properly. Use them the wrong way and you might end up with skin irritations or worse! I hope you will read the following guidelines about the hazards and warnings regarding essential oils. I found most of this information from Mountain Rose Herbs. Essential Oil Safety: A Guide for Health Care Professionals-, 2 edition by Robert Tisserand and Rodney Young was published in November 2013 and is a must have for those interested in essential oils and aromatherapy. The second edition of this book is virtually a new book. It is the only comprehensive text on the safety of essential oils, the first review of essential oil/drug interactions, and it provides detailed essential oil constituent data not found in any other text. Much of the existing text has been re-written, and 80% of the text is completely new. There are 400 comprehensive essential oil profiles and almost 4000 references. There are new chapters on the respiratory system, the cardiovascular system, the urinary system, the digestive system and the nervous system. The only comprehensive text on the safety of essential oils. 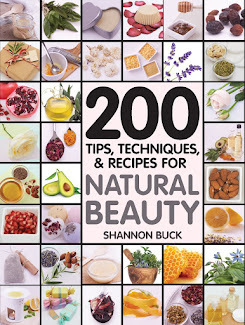 Do not use at all, or under the supervision of a qualified expert: (These are the most hazardous of essential oils, possessing very high oral and dermal toxicity): Bitter Almond, buchu, camphor, sassafras, calamus, horseradish, mugwort, mustard, pennyroyal, rue, savin, savory, southernwood, tansy, thuja, wintergreen, wormseed and wormwood. Will make skin more sensitive to sunlight: most concentrated citrus oils, angelica, bergamot, and lemon verbena. Not to be exposed by mucous membranes or ingested: all absolutes, allspice, ajowan, amyris, benzoin, calendula, cinnamon (bark and leaf), Douglas Fir, Jasmine, Lemon Myrtle, manuka, myrrh, oregano, parsley seed, pennyroyal, pine (scotch), savory, st. johns wort, tarragon, tea tree, thuja, and thyme. Did you know that some essential oils are so potent that their spills must be handled as if they are hazardous? That's right. Take tea tree oil, for example. If it spills, it cannot be allowed to enter a sewer or waterway. It should be absorbed with inert material and sealed in a container. Then the container must be disposed of as if it were a hazardous waste in accordance with local, state or federal laws. Such information is included on the Material Safety Data Sheet for every essential oil. These sheets are particularly helpful for essential oil suppliers such as Mountain Rose Herbs to store and handle essential oils, as required by the Chemicals Hazard Information and Packaging for Supply Regulations. The MSDS includes important information such as flammability and chemical composition. Mountain Rose Herbs can supply an MSDS for any essential oil they stock upon request. Active Manuka honey is my favorite sweet ingredient when making skin care recipes. Studies report that Manuka Honey contains properties that are powerfully antibacterial, antiviral, antiseptic, antimicrobial and anti-inflammatory, making it a great ingredient to use when crafting specific beauty recipes to soothe a skin condition. I use Active Manuka Honey with a Unique Manuka Factor (UMF) of 16 which many claim is medical grade. It is a bit expensive, but worth every cent. I use Pink Rose Powder from Mountain Rose Herbs. Click (HERE) to visit Mountain Rose Herbs online. *photo from Mountain Rose Herbs. I also add in powdered rose petals from Mountain Rose Herbs. The American Botanical Council reports that rose petals have sedative, antiseptic, antiparasitic, anti-inflammatory properties. This mask is a great way to deeply moisturize, detoxify and soothe your skin. You simply use a tablespoon amount on cleansed skin and massage it in for a about 30 seconds and then allow it to remain on your skin for up to 20 minutes and then rinse with warm water. Makes 5 ounces. Finally, Carrot Seed (Daucus carota) essential oil is added in to help soothe and detoxify the skin and is very beneficial for many skin problems. Mix all ingredients very well and store in a glass jar with tight fitting lid. Use within 90 days. If you don't have access to Manuka Honey, by all means substitute your favorite local honey. “No-Poo” really stands for “no shampoo” and is a bandwagon that many folks have jumped on lately. I typically wash my hair every three days or so, and use natural products that contain NO sulfates or harmful chemicals. I decided to give the No-poo routine a chance to see if simply washing with baking soda and rinsing with apple cider vinegar would be worthy. I have to say that No-Poo purists simply wash their hair with warm water only and have reported that after a few weeks their sebum production slowed down and their hair became shiny, healthy and manageable. I created the following formulas that have worked really well for my hair in the past few weeks. My hair does not feel “gross” or greasy or unclean at all. In truth, my mane is bouncy and incredibly healthy. My positive results may have been somewhat due to my existing schedule of only washing my hair every three days with natural products prior to starting the No-Poo plan. I also avoid using any styling products on my locks, so I do not get build-up from gel or hairspray. From what I have read on internet message boards, those that stick with the No-Poo program for several weeks begin to see incredible improvements in their hair texture and scalp condition. Patience is a virtue! Every third day, I brew a really robust chamomile infusion with 3 cups of boiling water and 1 cup of dried chamomile flowers. I give it about an hour to infuse and then strain off the spent flowers. I chose chamomile since I have light hair. If you have dark hair you can make a sage, lavender, or hibiscus flower infusion. Of course I get my Chamomile Flowers (Matricaria recutita) from Mountain Rose Herbs. Photo from Mountain Rose Herbs. I add 1 cup of the chamomile infused water to 1/4 cup of baking soda. I rinse my hair with warm water first, and gently ring out as much as possible. I massage the baking soda mixture into my hair and focus on massaging my scalp to remove as much sebum accumulation as possible. I let the mixture sit on my hair and scalp for about 1 minute or so, and then rinse very well with warm water. Avoid getting the baking soda in your eyes since as it does sting a bit. The Baking Soda from Mountain Rose Herbs is OMRI listed for organic food and is manufactured to USP and NSF standards. Three sizes to choose from. Click HERE. *Photo from Mountain Rose Herbs. For the rinse, I use 2 cups of my chamomile infusion along with 1/2 cup of raw unfiltered apple cider vinegar and 5 drops of sandalwood essential oil (use your favorite!). I pour a little at a time over my scalp and massage it into my ends. DO NOT RINSE. I have noticed that once my hair dries there is no vinegar odor at all. Look at the locks on this lovely lady!!! I have really enjoyed this No-Poo program and believe I might just stick with it for a while. I will be concocting various baking soda and vinegar based formulas and will share those with you. I encourage you to post your thoughts and experiences here too.